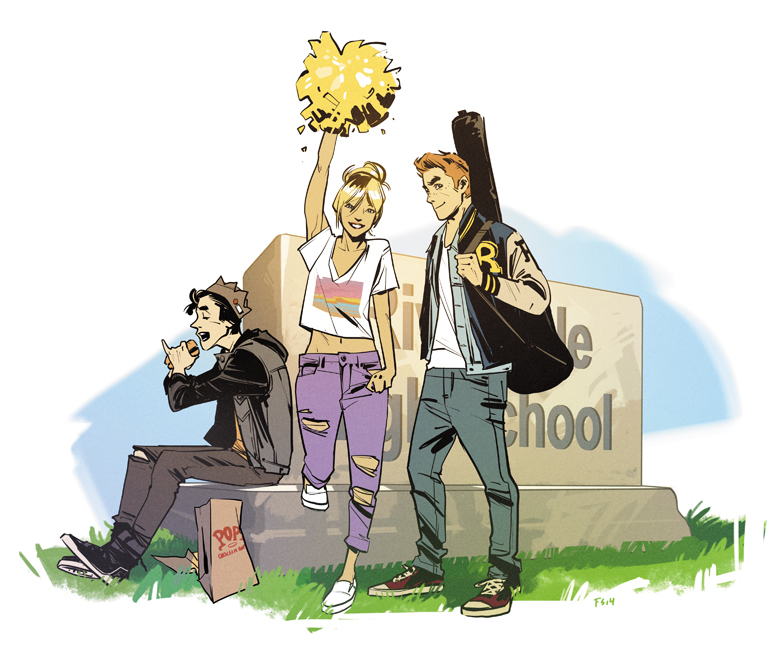 Recently, Archie comics got a modern update and overhaul after nearly eight decades as part of American culture. Archie #1 brought the titular character–along with Betty, Veronica and Jughead–into the new millennium. Comicbook.com reports that the announcement was made today at SDCC that the CW has picked up the television adaptation of the iconic comic book. The show, titled Riverdale, was previously in development at Fox. Greg Berlanti, who is responsible for bringing us other gems like Arrow, The Flash and the upcoming Supergirl, is over the project. With Berlanti at the helm, odds are good the show will be worth checking out whenever it makes it to our screens. This entry was posted in Other Stuff, T. Mack and tagged Archie, Comic Con, CW, Greg Berlanti, Riverdale, San Diego Comic Con, SDCC15. Bookmark the permalink.